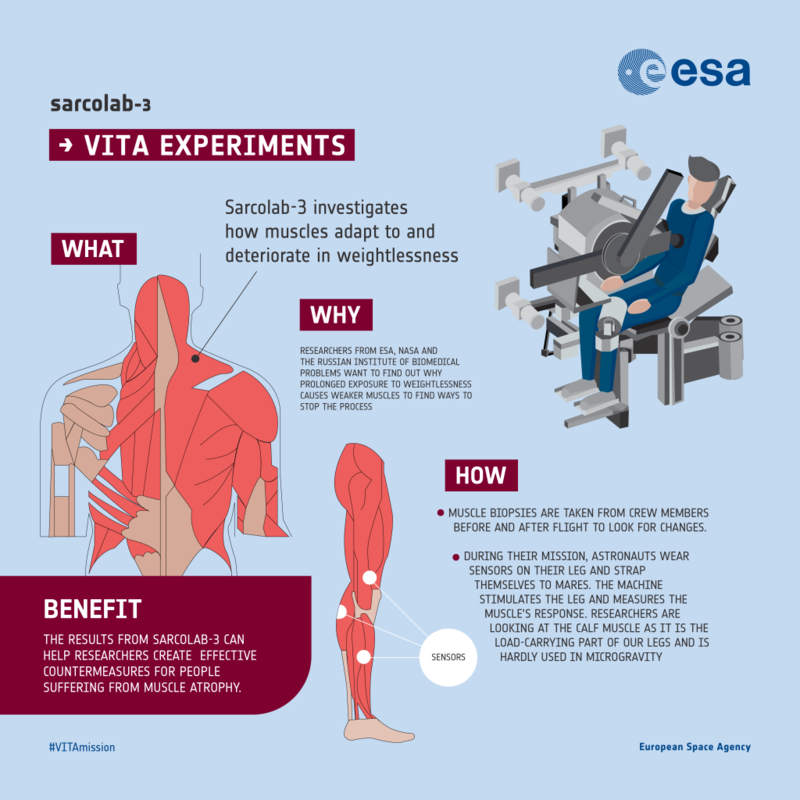 In Paolo’s first week on the Space Station, he and crew mates Randy Bresnik of NASA and Sergei Ryzansky of Roscosmos took part in the Sarcolab-3 experiment studying muscle loss in weightlessness. Last week, the crew repeated the experiment. Explore the what, why, how, and benefits of this experiment in infographics. 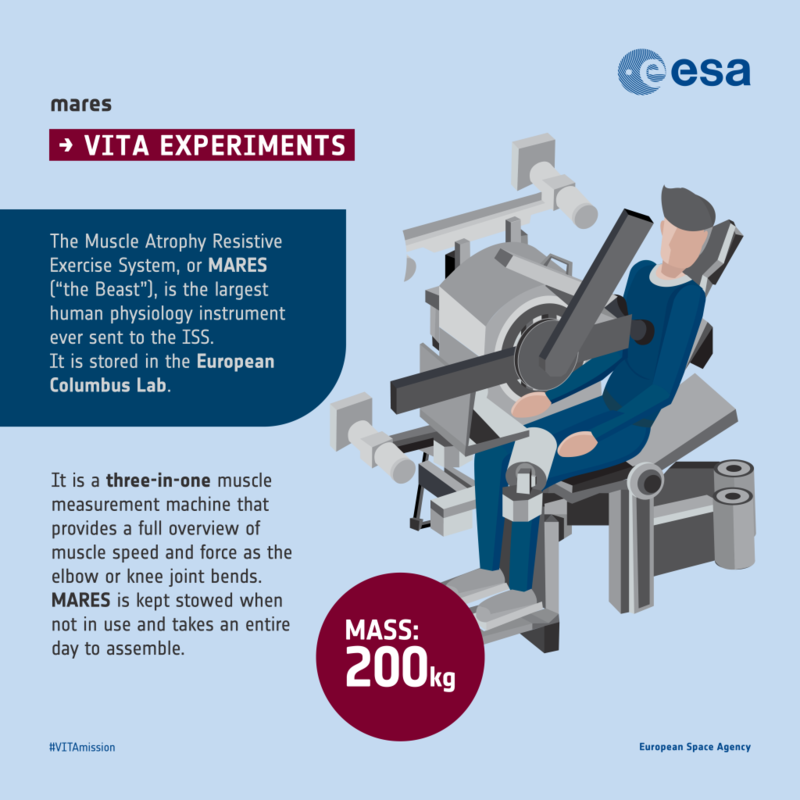 High-resolution images of all the infographics are available for download via our Flickr album.